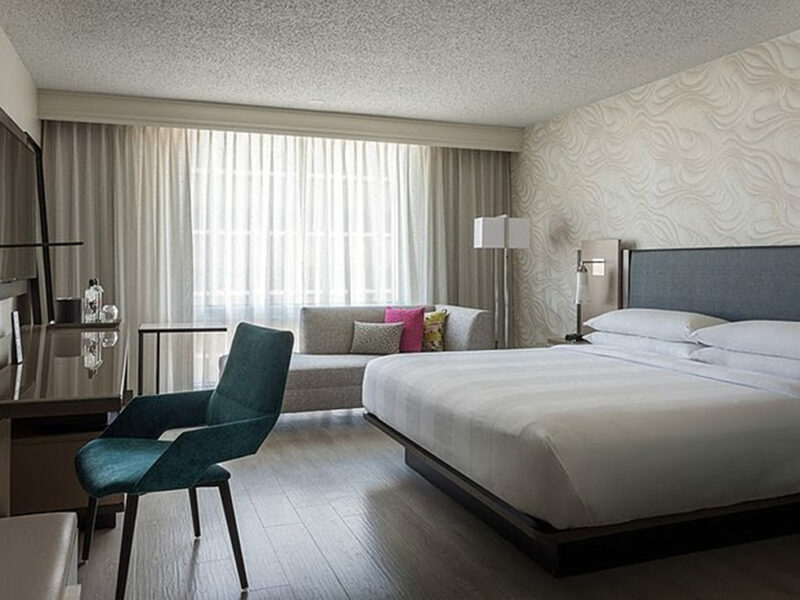 The Miami Airport Marriott has completed a renovation in excess of $20 million. The update encompassed the entire 367-room hotel including all accommodations, public areas and meeting and event spaces. According to General Manager, Ingrid Chaves, the goal was to reimagine the interior to create a welcoming and comfortable sanctuary through a sleek and modern design in furniture, lighting and decor. The color palette takes a cue from the hues of the Miami shoreline including gray, blue and beige. The event spaces and event hubs were completely redone and MIA’s Pantry was added, a new grab-and-go outlet. The Miami Airport Marriott is part of the Marriott Miami Airport Connection, a collection of three hotels featuring this full-service Marriott, a Courtyard and a Residence Inn to provide a total of more than 800 rooms. The Connection has an outdoor swimming pool, whirlpool and fitness center as well as dining at Cane Fire Grill for classic American cuisine, Champion’s Sports Bar and MIA’s Pantry. For meetings, weddings and other celebrations there is a combined total of 20,000 sq. ft. of event space and interactive hubs. 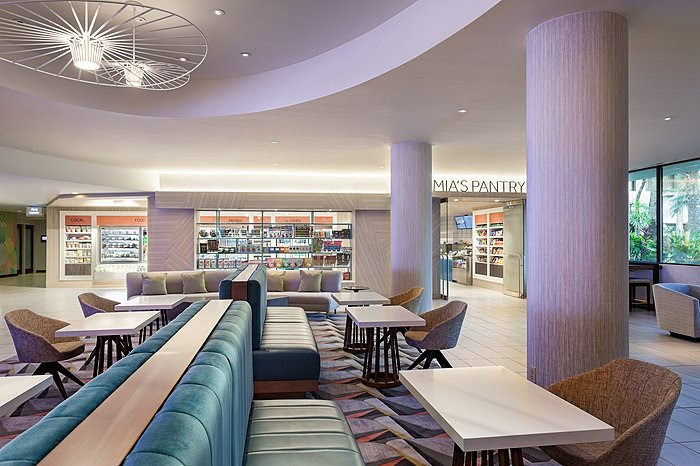 Situated at Miami International Airport, the Marriott Miami Airport Connection provides convenience with complimentary shuttle service from the airport. It is also accessible to the American Airlines Arena, the International Airport Convention Center, Jungle Island, beaches and shopping. Copyright © 2001- | myinspiredesign.com and ICD Publications, Inc.